ELSSS terms and conditions specifically apply to domain registration customers. ELSSS fees are subject to change and we give a 90 day notice period to customers. Registering a Domain name does not confer any legal rights to that trade name. It is the responsibility of the party requesting registration and not ELSSS to carry out a trademark search and check for any name disputes. We make no representation that the domain name you wish to register is available to be registered or that it will be registered in your name. You should therefore not assume registration of your requested domain name(s) until you have been notified of the registration. The registration and use of your domain name is subject to the terms and conditions of use by the particular naming body so please ensure you are aware of the terms and conditions. You will have no grounds for a claim against us in respect of refusal to register a domain name. We shall accept no liability in respect of the use by you of a domain name and any dispute between you and any other body must be resolved between the parties. In case of a dispute we will at our discretion withhold, suspend or cancel the disputed domain name. Any cancelled domain registrations shall be subject to our standard administration fees of �40. Cancellation requests must be received in writing not later than one month from registration. When a UK domain name is registered in your name you will be subject to the terms, contracts and conditions of Nominet UK as shown here - http://www.nominet.org.uk/nominet-terms.html. Customers wishing to transfer their domains to another provider for hosting may do so without a fee. 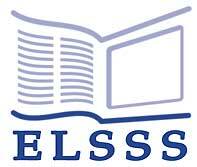 ELSSS will not be liable for any loss due to suspension, removal or unavailability of a customer's web site. You may terminate your service with us at any time, giving a minimum of 30 days notice. ELSSS reserves the right to suspend or cancel any account. Any abuse reports can be sent to info@elsss.org.uk and we will respond within 5 working days. Please view the Nominet website for further information about the UK domain name registration process at www.nominet.org.uk. Please visit http://www.nominet.org.uk for details of Nominet's Policy and Procedures and visit http://www.nominet.org.uk/uk-domain-names/registering-uk-domain/legal-details/terms-and-conditions-domain-name-registration for Nominet's Terms and Conditions.